Broadcom Inc (NASDAQ:AVGO) investors should pay attention to a decrease in activity from the world’s largest hedge funds of late. 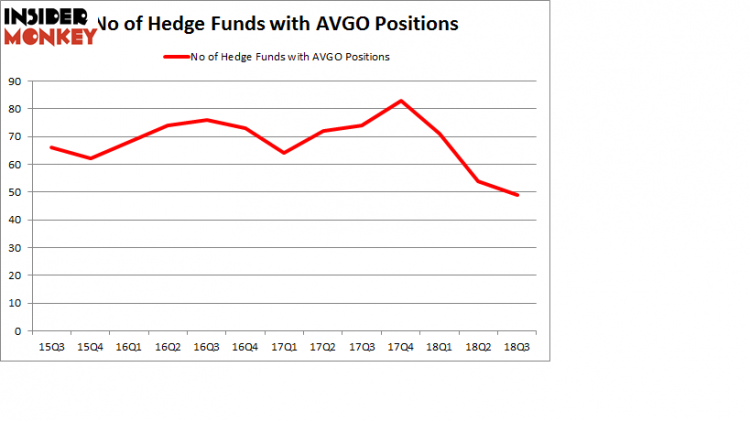 Our calculations also showed that AVGO isn’t among the 30 most popular stocks among hedge funds. 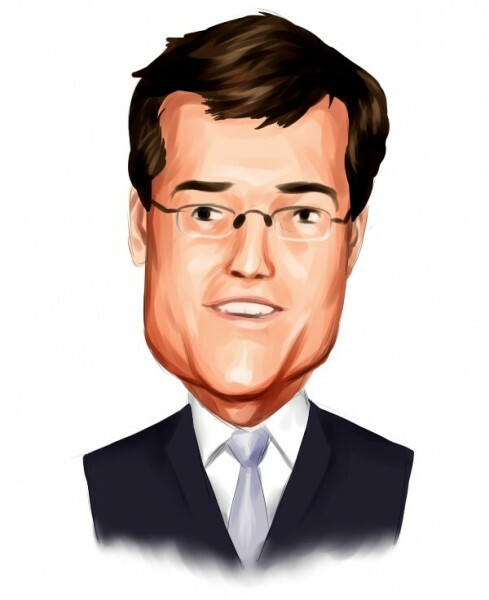 Let’s review the latest hedge fund action encompassing Broadcom Inc (NASDAQ:AVGO). What does the smart money think about Broadcom Inc (NASDAQ:AVGO)? Heading into the fourth quarter of 2018, a total of 49 of the hedge funds tracked by Insider Monkey held long positions in this stock, a change of -9% from the previous quarter. Below, you can check out the change in hedge fund sentiment towards AVGO over the last 13 quarters. So, let’s see which hedge funds were among the top holders of the stock and which hedge funds were making big moves. Among these funds, First Pacific Advisors LLC held the most valuable stake in Broadcom Inc (NASDAQ:AVGO), which was worth $500.7 million at the end of the third quarter. On the second spot was Silver Lake Partners which amassed $484.4 million worth of shares. Moreover, Coatue Management, SRS Investment Management, and Citadel Investment Group were also bullish on Broadcom Inc (NASDAQ:AVGO), allocating a large percentage of their portfolios to this stock. Because Broadcom Inc (NASDAQ:AVGO) has witnessed bearish sentiment from hedge fund managers, it’s easy to see that there was a specific group of hedgies that decided to sell off their positions entirely by the end of the third quarter. It’s worth mentioning that Jim Davidson,áDave RouxáandáGlenn Hutchins’s Silver Lake Partners dumped the biggest stake of the 700 funds monitored by Insider Monkey, valued at about $476.4 million in stock, and Christopher Lord’s Criterion Capital was right behind this move, as the fund dumped about $31.8 million worth. These bearish behaviors are important to note, as total hedge fund interest dropped by 5 funds by the end of the third quarter. Let’s also examine hedge fund activity in other stocks similar to Broadcom Inc (NASDAQ:AVGO). These stocks are Bristol Myers Squibb Company (NYSE:BMY), United Parcel Service, Inc. (NYSE:UPS), AstraZeneca plc (NYSE:AZN), and Gilead Sciences, Inc. (NASDAQ:GILD). This group of stocks’ market valuations resemble AVGO’s market valuation. As you can see these stocks had an average of 40.25 hedge funds with bullish positions and the average amount invested in these stocks was $2.56 billion. That figure was $4.09 billion in AVGO’s case. Gilead Sciences, Inc. (NASDAQ:GILD) is the most popular stock in this table. On the other hand AstraZeneca plc (NYSE:AZN) is the least popular one with only 26 bullish hedge fund positions. Broadcom Inc (NASDAQ:AVGO) is not the most popular stock in this group but hedge fund interest is still above average. This is a slightly positive signal but we’d rather spend our time researching stocks that hedge funds are piling on. In this regard GILD might be a better candidate to consider a long position.